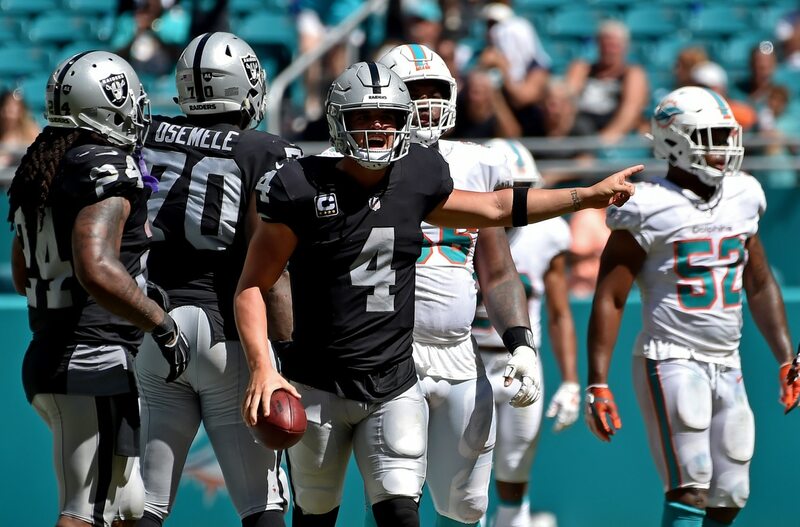 The Oakland Raiders have limped to a 1-5 start in the first year of the Jon Gruden era, and the rumor mill is starting to spin with quarterback Derek Carr. According to Marcus Thompson of The Athletic, team sources say there is a potentially irreparable “fractured relationship” between Carr and his Raiders teammates. Thompson added an anecdote about the quarterback apparently crying after taking a sack and injuring his arm earlier this season. Apparently, it’s something that has put Carr’s ability to lead in question. Perhaps that’s a reason why Oakland general manager Reggie McKenzie wouldn’t say Carr is untouchable in trade talks. Regardless, it’s clear the Raiders are going to get worse before they improve. Trades have already sent Khalil Mack and Amari Cooper elsewhere, and the offseason included the departures of Michael Crabtree and Marquette King, among others. Carr’s days in Oakland seem limited.